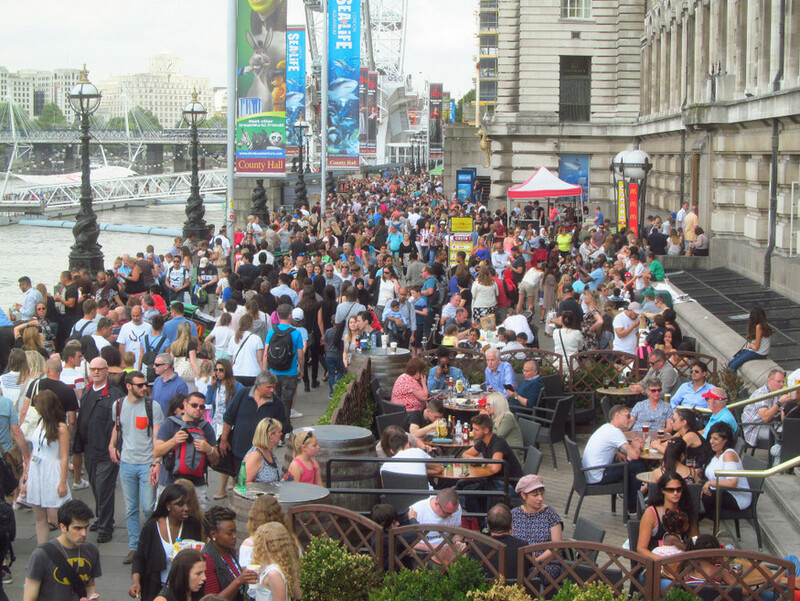 Londoners love to hate tourists. They are constantly getting in the way on the pavements, they stand on the left on an escalator and they have the unique ability to take out half an Underground carriage with a single piece of luggage. We regularly tell tourists they need to change at Kennington to get to Leicester Square. At which point they look at us like we've either just solved Fermat's last theorem or helped deliver a baby. They're full of gratitude for relaying a fact that every Londoner knows, and it gives us an extra spring in our step for the rest of the day. Before they get to the point of asking for directions, they start with an endearing 'excuse me sir'. It never fails to put a smile on our face and we can't see why it wouldn't have the same impact on anyone else... unless you're a woman, in which case it's probably insulting. Somebody needs to pay the ticket price to go to the Tower of London and, let's face it, being a Londoner is about having these cultural icons on our doorstep and never visiting. And so it falls to tourists to stump up and help maintain the place. Even places with free entry like Tate and British Museum rely on their gift shop sales for extra revenue. We'd never buy a mug with a famous artwork on it, but a Londoner's junk is a tourist's treasure. Part of what makes London the greatest city in the world is the mix of races, religions, languages and cultures. Tourists only serve to bolster that diversity and make our home a truly global melting pot. We still can't stop chuckling at the fact we heard someone call it Ed-Gwah-Ray Road. Lie-Chess-Ter Square is another favourite. We admit this one is at the expense of tourists but we had to sneak it in. Is there anything else you love about tourists? Let us know in the comments below.